Dead Man walking: Jillott and Amery before the fateful avalanche on Haramosh. For those who are interested in compiling it, the list of postwar British mountaineers who have achieved major success in the Himalaya would be predictable: Brown, Bonington, Scott, Rouse Haston,Whillans,Boardman, Tasker,Fowler,Saunders... The chances of Harry Reginald Antony Streather being included would be remote. Yet in the 1950s, Tony Streather's track record was second to none. The first ascent of Tirich Mir; a pivotal role in the K2 tragedy of 1953; the sec­ond ascent of Kangchenjunga (only a day after Joe Brown and George Band); a terrific epic on Haramosh; the first ascent of Malubitang East.. I assumed, quite wrongly, that he came from a long-standing army family, not so: "My father was a builder and before the war we lived in various parts of North London and Hertford­shire. Towards the end of the war I went straight to India because someone came to my school to give a talk about the Indian Army. This set off an accidental train of events that led to my climb­ing because we trained for Burma in the jungle. Then the bomb was dropped and that was that. So the regiment was sent to the North West Frontier which I found fascinating — Kipling and the Great Game, that sort of thing." Streather stayed on after the Partition of In­dia and Pakistan and joined the Chitral Scouts. By 1950 he was the last British Officer, serving under a Pakistani CO, when a Norwegian Expe­dition came to attempt Tirich Mir, 7,700m: "I joined the expedition and was appointed Trans­port Officer. I'd literally never tied on a rope before but of course I'd spent months crossing passes, living in the mountains at reasonable alti­tudes — I was very fit indeed. I had no major ambitions initially, I was there to organize the porters. I think the Norwegians had this idea of 4e British Colonial exploiting the porters and expected me to go round beating the locals. They couldn't understand why when they would ask them to do something, they would take abso­lutely no notice at all and I would chat to them and say 'now come on' and it worked." Speaking fluent Urdu, Streather managed to persuade the porters ever higher but only by accompanying them himself. Rather to his sur­prise — "it really was a pure accident" — he ended up on top. The ascent of Tirich Mir would have made a far greater impact had not Annapurna been climbed by the French the same year, the first 8,000m peak to fall and under epic circumstances: "all those toes being cut off in the train" as Streather succinctly put it. But his ascent had not gone unnoticed and on his return to Britain he was first invited to join the Alpine Club ("I thought it was some sort of Social Club"), and then selected for trials in Switzerland for the Everest team in 1953. Despite being by far the best acclimatized and in the view of the expedition doctor, Michael Ward: "he should really have been a member of our Everest team." his lack of Alpine climbing and tech­nical experience counted against him and he was rejected. It is one of the more delicious ironies in the annals of Himalayan climbing that at the same time as the let­ter giving the bad news arrived, so did another from Dr Charles Houston inviting him to join the 1953 American K2 Expedition. 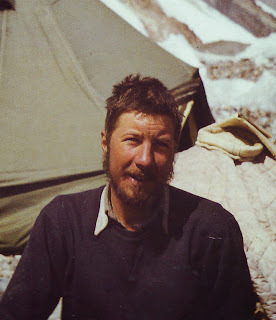 He had been turned down for the South Col route of Everest while simultaneously being included in the team to attempt the far harder and steeper mixed ground of the Abruzzi Spur. The expedition still remains a highpoint of Himalayan expeditioning despite its tragic outcome when Art Gilkey was stricken with phlebitis in a pro­longed storm high on the moun­tain just below the infamous Shoulder of K2. With a unity of spirit and purpose, an heroic attempt was made to rescue Gilkey, an attempt that ended with a multiple fall and, soon afterwards, the death of Gilkey who was swept away in an avalanche. Streather, who had integrated well with the Americans, has no illu­sions about the futility of the task they set them­selves but thinks it was out of the question not to do their utmost to save Art's life. Though di­rect comparisons are unfair and the circum­stances similar but not exactly the same, Streather remains unimpressed by some of the actions during the 1986 tragedy on the Shoulder of K2 when five out of seven climbers from three separate expeditions died, including All Rouse and Julie Tullis, in a similarly prolonged storm: "We were extremely close, working together as a team, and here we are 40 years later, still alive and having done all sorts of things since. They (referring to 1986) were a hotchpotch of indi­viduals some of them you might say prima donnas, thinking only of getting to the top at all costs. We were trapped up there for 10 days and it must have been very close to where Julie and Alan both died." Despite the emotional trauma of K2, Tony Streather had no qualms two years later when he was invited out of the blue by Charles Evans to go to Kangchenjunga: "Charles was a terrific leader in a very quiet sort of way and, like K2, we all became great chums and a close team.) was going better higher than almost anybody, though of course I lacked the technical skill of Joe. I often tried not to use oxygen because I found the extra weight of carrying the stuff off­set any good it was doing me. 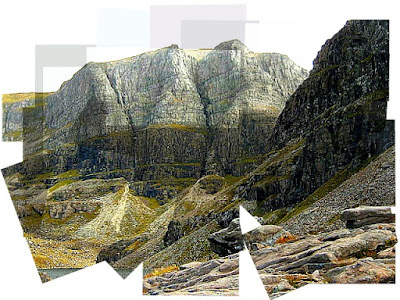 I was selected for the second summit bid with Norman Hardie af­ter Joe Brown and George Band. We went to the top camp and as it was getting dark they returned very tired. They explained that at the very last there was this bit of climbing up a chim­ney. Up until then Joe had found the whole thing a bore, plodding about in the snow, but now he used a sling and hand jams. Joe said 'have a go but you probably won't get up the final bit' be­cause he knew that neither of us were great rock-climbers. Well, off we went, and we had a drama on the way up. Norman who was leading had the misfortune of seeing one of his oxygen cylinders slip out of the carrying frame. I gave him one of mine and followed using the remaining one very sparingly, about a litre a minute. Anyway we got to the famous place that Joe talked about, still had crampons on, didn't like the look of it so just went round a bit and there was a nice little snow gully going straight to the top. It was a lovely, very clear day and we hung around just below the summit for some time. (The team had undertaken not to tread the summit snows out of respect for local beliefs who believed that the summit of Kangchenjunga was the home of the mountain gods.) On the way down the little oxy­gen I had ran out. Coming down was a very te­dious business." The first ascent of Kangchenjunga by a long and complex route that had only been briefly recced was a major achievement though, per­haps naturally, unlike the first ascent of Everest two years previously it remained a low key af­fair. 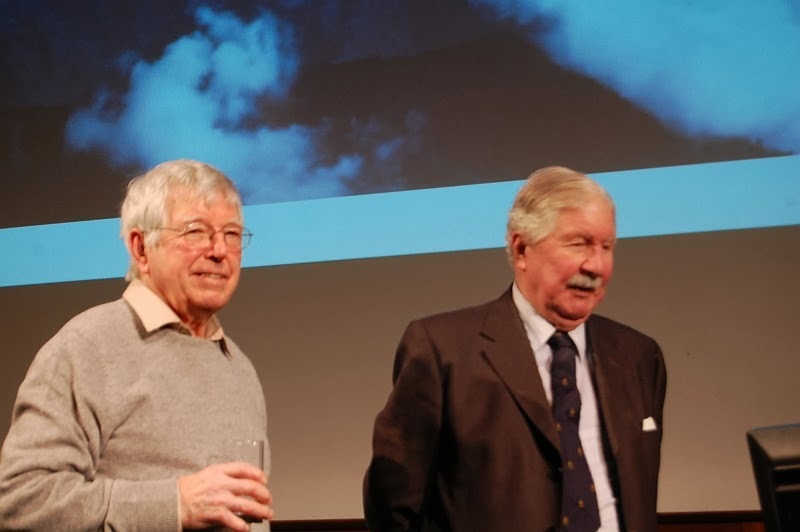 None of the expedition members became public figures except Joe Brown, for very differ­ent reasons.It was whilst lecturing about K2 at Oxford University that Tony Streather became involved in what would prove to be one of the most har­rowing epics of all time. Had it happened today in a far more media conscious world it would have rivalled both the K2 dramas in 1986 and the self-rescue epic of Joe Simpson on Siula Grande. In 1957 Streather was persuaded to lead a small team from Oxford to reconnoitre the unclimbed Haramosh, a complex 7,400m peak overlooking Gilgit. The University Club desper­ately needed someone of Tony Streather's stand­ing to give the expedition the clout to justify a Mount Everest Foundation Grant, then, as now,- seen as a considerable boost to expedition fi­nances. At the time Streather was an instructor at Sandhurst and working for a Staff College exam. He was also newly married with a young child. 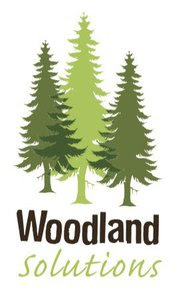 It was, he said: "absolute nonsense from my military career point of view to go" but Ber­nard Jillott, the organizer and driving force be­hind the expedition, persuaded him. What happened on Haramosh is the subject of one of the great climbing books The Lost Blue Mountain which though written by Ralph Barker, a non-climber, gives a vivid, accurate and per­ceptive picture of the complete series of 'knock-on' events leading to the final tragedy. What fol­lows here is, of necessity, largely simplified. After several weeks on the mountain, mak­ing slow progress in indifferent weather, the small team reached a vantage point where the whole of the final pyramid with still 100m of height to be gained, was laid out before them. There was no realistic chance of reaching the top but the prime aim of the expedition, to reconnoitre a feasible route, had been achieved. Just along the ridge stood a minor summit which they named `The Cardinal's Hat'. Jillott wanted to climb it as a consolation prize. Streather, one suspects not wholeheartedly, agreed that Jillott and John Em­ery should go for it Streather was worried about cornice danger and warned them to keep well back from the break line. 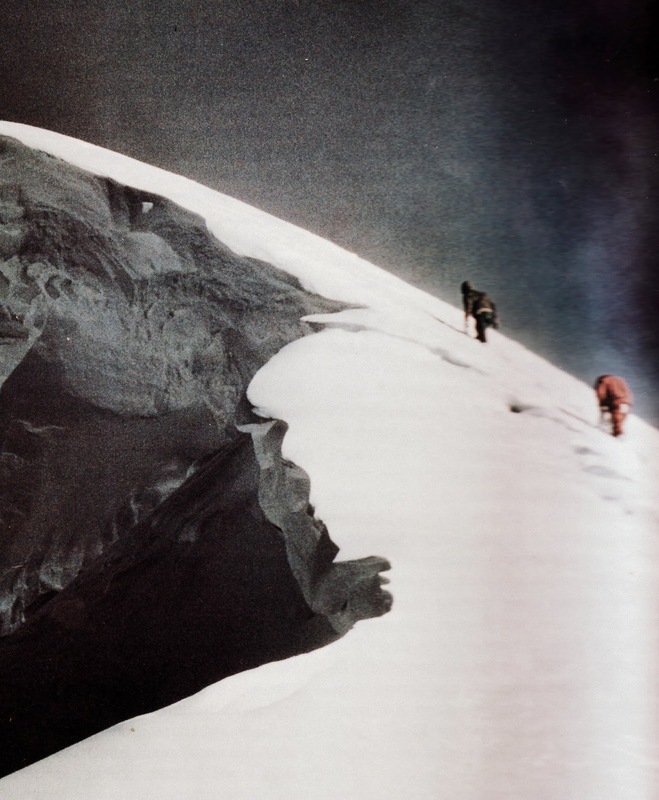 But it was the slopes that Jillott and Emery were climbing that sud­denly avalanched. Streather and Rae Culbert watched in horror and incomprehension as the two figures jerked about like puppets before being swept past them, apparently to oblivion. As the cloud of snow settled, Streather peered down into a snow basin over 300m be­low. To his relief and amazement he saw a figure moving, apparently uninjured. Then the other appeared. Both climbers had survived the ava­lanche but both had lost their ice-axes and worse still Emery had dislocated his hip and lost both his pairs of gloves. The fall had taken them clean over some ice cliffs and, without axes, it looked impossible to climb back up to the ridge. By a stroke of good fortune Emery involuntarily man­aged to get his hip relocated and the two tried to traverse across to a point where they could avoid the ice cliffs. But without axes they both slipped and narrowly avoided falling into a cre­vasse. Late in the day they faced up to a cold bivouac. In the middle of the night they saw a bright light above them and decided to try again to climb up but almost immediately Emery fell over a small ice cliff and the two resigned them­selves to spending the rest of the night in the basin. On the ridge above, Streather and Culbert had already tried to alleviate their plight. They had deliberately dropped a rucksack containing spare gloves, a bottle of water and some sweets and chocolate, but to their horror the 'sack veered off and disappeared down a crevasse. They decided to descend to their camp (Camp IV) and organize a proper rescue. Before midnight they returned to the ava­lanche site and helping each other carefully they started down. By dawn they were above the ice cliffs that they hadn't been aware of in the dark and had to start cutting steps along the top slopes to try and circumvent them. It took hours. Be­low, the tired and apathetic Jillott and Emery watched as their rescuers inched their way to­wards them. It took the whole day before all four were reunited. One of two Thermos flasks of soup had broken, the other barely started to revive the two. Darkness and the second night out approached. Streather roped everyone to­gether and hoped that even without axes Jillott and Emery would be able to climb the line of steps. Somehow Culbert had lost a crampon on the descent and after a good start he slipped and pulled the other three off. All four slid in a tan­gled mass back into the basin. Streather losing his axe in the process. He borrowed Culbert's and they started again. This time they madesteady progress and had nearly reached a ledge that he and Culbert had stamped out earlier in the day. Then far below, Jillott, exhausted fell asleep and pulled off the other three and down 80m back into the snow basin again. During the fall Streather lost the remaining ice-axe. The four spent a miserable night in a cre­vasse, Culbert already troubled by a frostbitten foot, Emery's hands giving trouble and Jillott be­ginning to ramble incoherently. Streather seemed to be the only one relatively unaffected. He knew all too clearly that the next attempt to escape had to succeed. But now they had no ice-axes and in the circumstances he decided that the rope was more of a hindrance than a help. Just short of the stamped out platform they had a major stroke of luck and found an ice-axe stick­ing out of the snow. Slowly, painfully slowly, Streather cleared and enlarged the step and the others followed. But Rae Culbert was desper­ately handicapped by the loss of his crampon and called for a rope to help him over a particularly awkward section. Streather dropped him one and made an ice-axe belay. But when Culbert slipped the strain was too great and Streather was cata­pulted down the slope. Yet again they both ended up in the snow basin. With dreadful irony their desperate situation was now reversed. High above, Jillott and Emerson were on their way to escape while their rescuers faced yet another grim night in the open. Above them, Jillott and Emery finally managed to extricate themselves and emerged on to the ridge where Emery promptly fell through the cornice on the other side. Mercifully he only fell 10m and though his hip jarred out again once more he managed to get it back. Jillott went ahead now obsessed with the need to get back to Camp IV and strengthen themselves with food and drink so that they could return and help Streather and Culbert. Emery followed him slowly down into the darkness. Surely now their troubles would ease. But suddenly he found himself falling again, this time into a crevasse, and knocked himself out. When he awoke it was night and dragging him­self back to consciousness he managed to find a way out. Then he fell asleep again. When he'awoke it was about midday. Emery followed Jillott's track, more dead than alive, until just above Camp IV they disappeared over the edge of a colossal drop. Uncomprehending, Emery peered over. There was no doubt about it. Bernard Jillott had walked over the edge to his death. Shocked and exhausted Emery regained Camp IV at last after three days, lit a Primus stove and made himself a drink. He was terribly frostbitten and later lost all his fingers. Meanwhile back in the snow basin Culbert and Streather had survived the night. Culbert though was nearing total collapse. In the end he fell off twice more, but by now he was unroped and Streather knew his only hope was to get out on his own and alert the others. 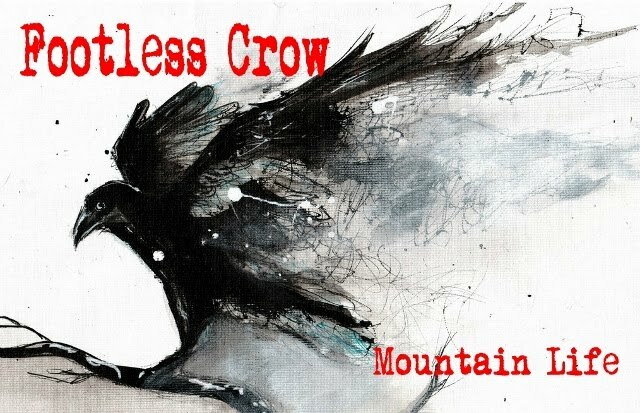 With his strength ebbing Streather managed at last to regain the Ridge and by now frostbitten and ex­hausted he descended to Camp IV where he found Emery who broke the news of Jillott's death to him. They knew in their hearts that by now there was no way they could possibly rescue Culbert, who would be most unlikely to survive the night, and next day with heavy hearts and appalling injuries they managed to get off the mountain. Based on an interview conducted by the author in the mid nineties and published in High-July 96.